#ad denotes products that I have been paid to share, sent as #pr, using #affiliate links or I have bought the product, but, have previously received pr from the brand or pr agency. When working in retail it is the expectation that people will sell anything, whether the customer needs it or not. A commission is mentioned and of course the more you sell the better rewarded you are. Many beauty consultants and people in the industry believe then and now, that building a customer relationship on trust is the way forward. I was comfortable selling what my customers really wanted and needed and not to keep link selling to the next item. I treat people as I wish to be treated when I am buying a product. This trust in me from my customers meant years of friendship and cosmetic advice, many are still friends to this day and still use products recommended by me, many still ask for advice. This blog is about trust, I am very honest in my opinions about products and how they work for me, if they don't, then I will tell you, it's as simple as that. This blog is my work and I value my work and the effort I put in, therefore it can only be my truest word that I write. Mainly the products I feature on my blog I have purchased myself, some remain from my employment with Yves Saint Laurent, I no longer work for this company or have any affiliation with it. PR samples, tester products and gifts may feature on my blog, these are reviewed as any purchased product, my words are not prescribed by any brand and any paid posts will be clearly highlighted. I only accept samples of products I would actually buy myself or have an interest in the product, I turn down more than I accept. I will say that just because products may not suit me it does not mean that they will not suit someone else. I can only tell how they work with and on my skin, I shall do my best to describe why products are good, bad or indifferent so you can make an informed choice yourself. My skin type is combination/oily and can be dehydrated, but this does not mean that even if you are the same skin type that products I love will be ideal for you. Although I am qualified in anatomy, physiology and a trained beauty/skincare consultant I can not give advice on your personal skin type without seeing it, I can give general recommendations and always suggest researching the product and ingredients. Not all products work the same way for everyone, I have issues with Glycolic and Rosehip Oil, yet so many people love it - I just need to find a formulation that worked for me and my skin. PHOTOGRAPHS - on my blog are by me unless otherwise stated, if I use any visual that belongs to you and I haven't credited the work then let me know I will put it right. If you wish to copy, cut, paste, use, print, frame, display in a gallery any of my photo's, please ask first. A little about the technology involved, cookies of the technology variety I'm afraid. Advertising: The advertising banners on this site come through my network AdSense and Skimlinks which supplies advertising from a range of approved digital partners. Occasionally these banners will use marketing cookies to show you adverts that you might be more interested in. This tracking system is anonymised and therefore it does not know who you are, it just uses the limited information available to it (via cookies) to serve you ads that may be relevant to you. Affiliate links are shown by the link fave.co - when clicked these take you to the page where the product may be bought, if you do then I earn a few pennies (literally) from the link to the site (affiliate), you are not obliged to follow the link, I add them to make finding the product easier. 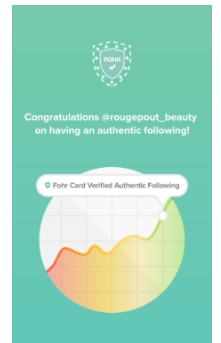 the website that you are currently using, www.rougepout.org, and any sub-domains of this site unless expressly excluded by their own terms and conditions. For purposes of the Data Protection Act 1998, Rougepout Beauty is the "data controller". 10. Rougepout Beauty may, from time to time, employ the services of other parties for dealing with certain processes necessary for the operation of the Website. 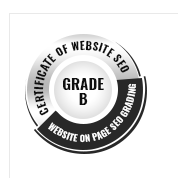 The providers of such services do not have access to certain personal Data provided by Users of this Website. 20. You have the right to ask for a copy of any of your personal Data held by Rougepout Beauty (where such Data is held) on payment of a small fee, which will not exceed £0.00. Data security is of great importance to Rougepout Beauty and to protect your Data we have put in place suitable physical, electronic and managerial procedures to safeguard and secure Data collected via this Website. Cookies, you are enabling Rougepout Beauty to provide a better experience and service to you. You may, if you wish, deny consent to the placing of Cookies; however certain features of the Website may not function fully or as intended. You may contact Rougepout Beauty by email at rougepout@gmail.com.